Deception IV: The Nightmare Princess follows on the heels of Deception IV: Blood Ties, which revolved around Laegrinna, a deceitful fragment of the Devil's soul who chose between Sadistic Torment, Elaborate Death, or Humiliating Demise, to defeat her foes through trickery. In this new instalment, players not only relive Laegrinna's entire pursuit to free her father, the Devil, from his eternal prison, they also get introduced to an entirely new, wickedly sadistic, and infernally mischievous character: Velguirie. 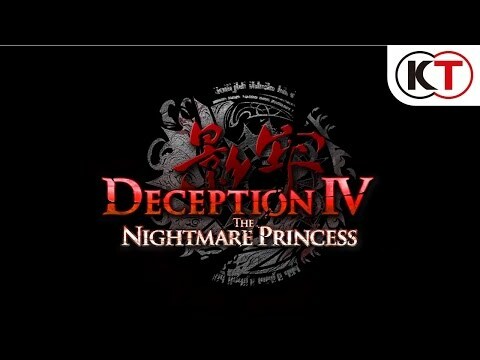 Deception IV: The Nightmare Princess, the PlayStation 4 debut for the Deception series, is produced by the creator of the popular Fatal Frame series, Keisuke Kikuchi.